There’s a lot of truth that little piece of wisdom. All across the world, coffee shops occupy a unique place in our social fabric. No drink brings (sober) people together like a cup of coffee. Every country and culture has their own take on coffee, and today we’ll be talking about Nashville’s. 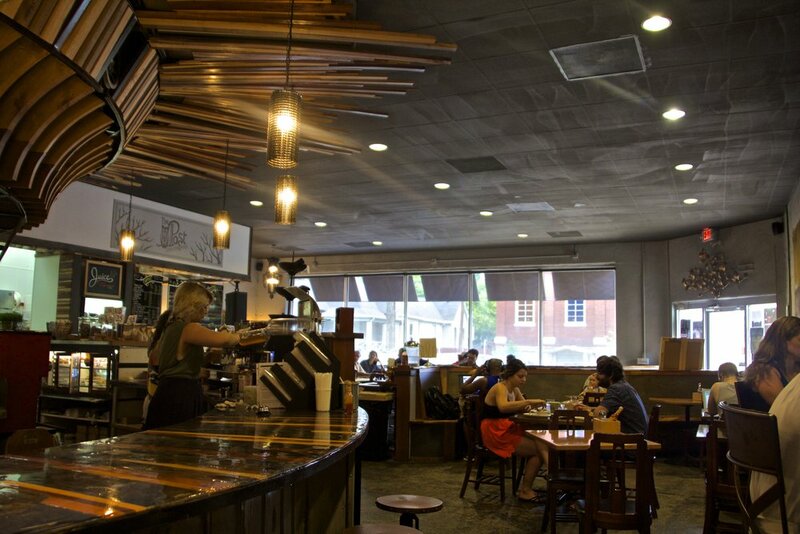 Nashville has a vibrant coffee shop scene. 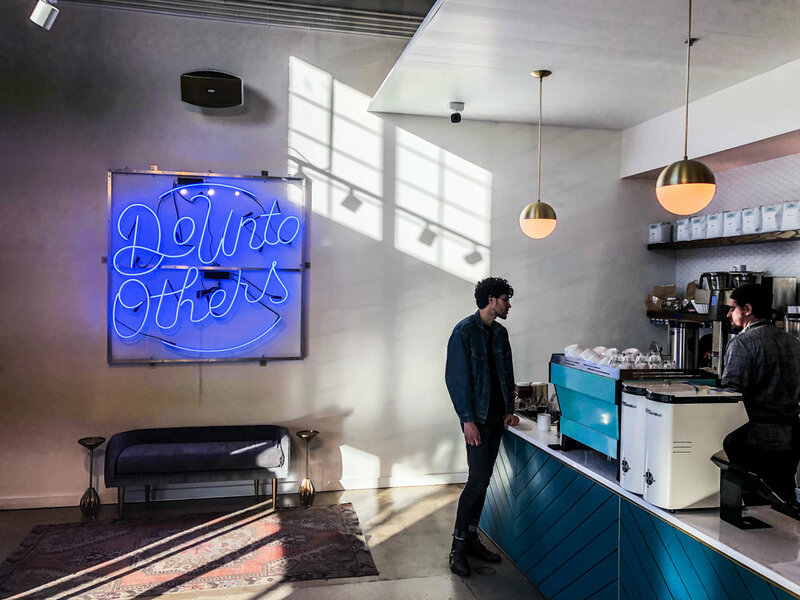 All across the city, these coffee shops are oases, filled with entrepreneurs, musicians, students, and more. 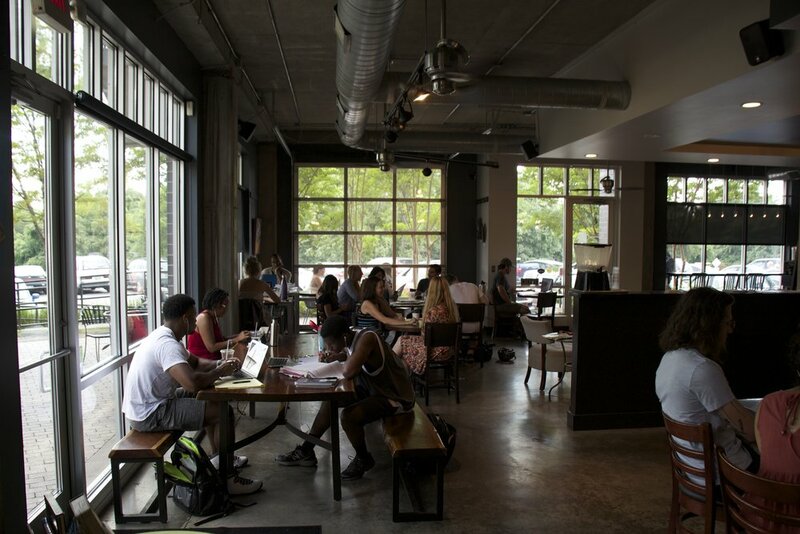 And between Nashville’s many small, office-less companies, budding start-ups, and already-huge-but-still-rapidly-growing community of musicians, many of these coffee shops function as co-working spaces during business hours. 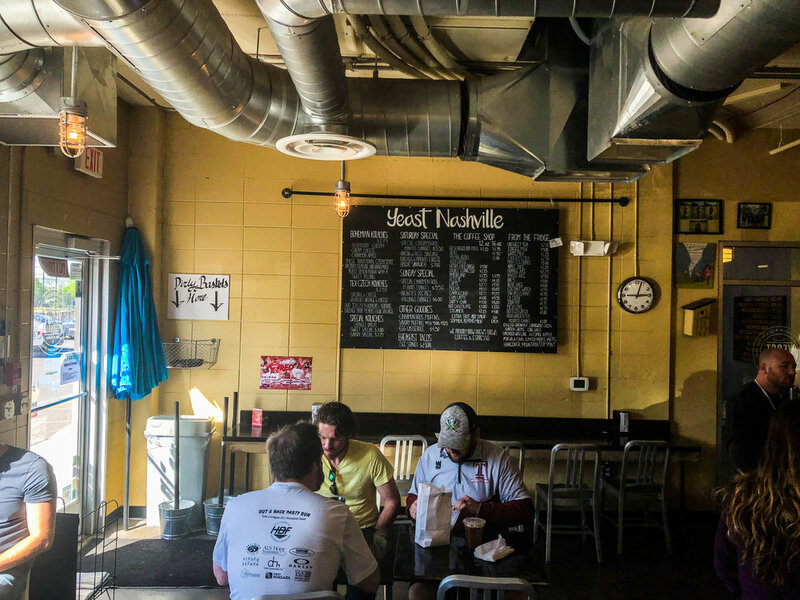 Coffee in Nashville is a world unto itself, and if you ask me, the following 18 establishments embody the best of that world. I’ll start with Ugly Mugs because it’s my favorite coffee shop in Nashville, no contest. When I first moved to Nashville, I was literally homeless. I was driving around town with my entire life packed into the back of my car. It was a difficult time for me, but in that uncertainty, Ugly Mugs was a place of refuge. 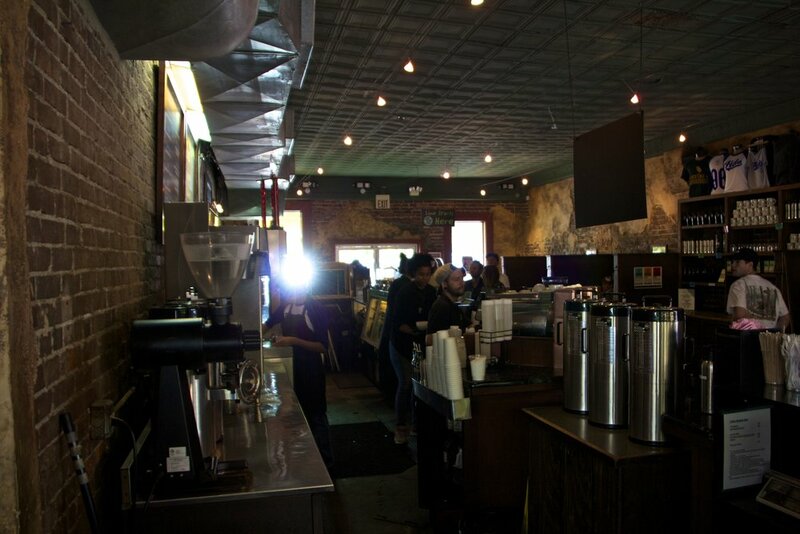 Most of those early days in Nashville were spent in coffee shops, looking for a job from morning until night. Weighing my caffeine options like that on a daily basis, it didn’t take long for me to become an Ugly Mugs regular. In the heart of East Nashville (the “hip neighborhood”), Ugly Mugs has managed to strike exactly the right balance between cool and welcoming. Because, for all of East Nashville’s coolness and aloofness, at the end of the day it’s a real neighborhood full of real people. And no coffee shop has done a better of job of connecting with those people than Ugly Mugs. It’s a cool place, sure, but it’s also a place where friends and families can come together to share a cup of coffee. The owners, having children themselves, even have a ‘kids corner’ set up for the other neighborhood parents. Normally that might annoy me while I try to get work done, but in Ugly Mugs, I really don’t mind it because it reminds me that I’m part of a community. That sense of community really important when you move to a new place, but it can be elusive. And it might sound weird, but Ugly Mugs played a big role in helping me get plugged in with a community, and helping Nashville feel like home for me. So thanks, Ugly Mugs. I’m clearly a little biased on this one. But I promise to be objective moving forward. Portland Brew is, very objectively, one of the coolest coffee shops in Nashville. It’s quiet, it’s accessible, it’s got lots of seating… it really just has all of its bases covered. Oh, and the coffee is also amazing! I visited Portland (Oregon) long before I ever came to Nashville, and the coffee out there was (of course) incredible. So when I first rolled into Nashville, and read their sign, “Portland Brew: Taste of the Pacific Northwest,” I was skeptical. I went in with some high expectations, but I was not disappointed. Portland Brew can hang with the best of them. Portland Brew does business out of 2 locations. The first is in a cool little area on the southwestern side of the city called 12 South. This is the original Portland Brew. The second location is in East Nashville, and this is known as Portland Brew East. 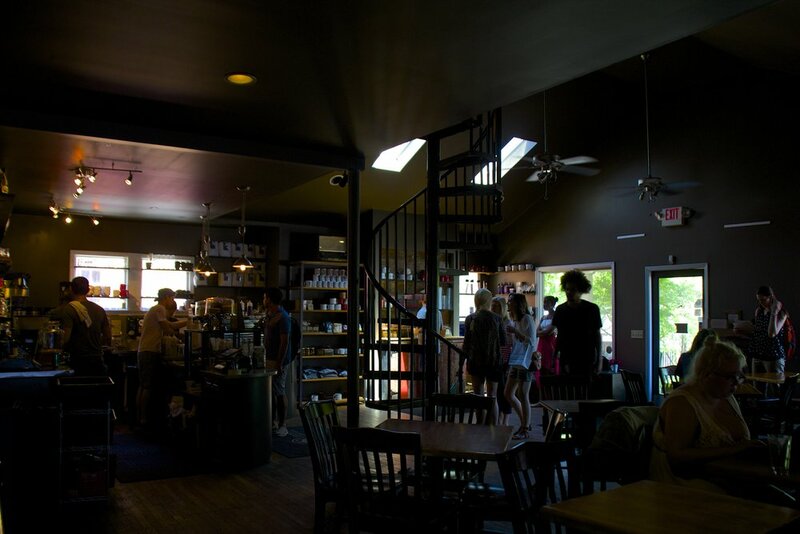 Personally, I think Portland Brew fits in better over in East Nashville, and I prefer the space they own on that side of town to their original location (Portland Brew East is pictured below), but no matter which one you visit, you’ll get the same great coffee. And if you feel like springing for some food, I recommend a sandwich called the Multnomah. 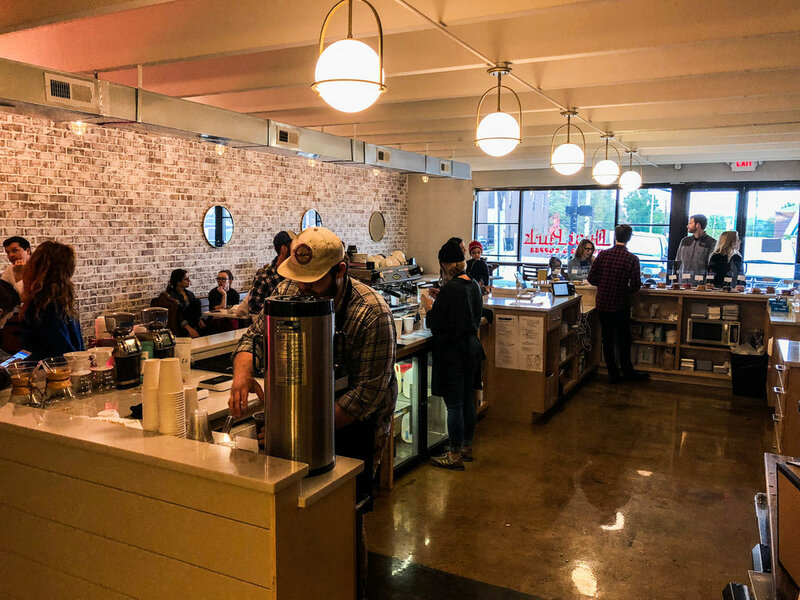 Stay Golden is a relatively recent addition to the world of Nashvillian coffee, but is quickly earning its place in the heart of hipsters and caffeine addicts across the city. Breaking ground in a converted, post-industrial space on the south side of town, just off Thompson Lane and a stone’s through from Berry Hill, it doesn’t sit in the most “happening” area. If you ask me, this area actually has a lot more going on than meets the eye, and is truly “up and coming” within the next 10 years, but right now, it’s not close to much. However, it is nestled deep in the heart of neighborhoods that are truly local, which means that is always filled with the creative, entrepreneurial people that make Nashville an awesome place to live. Not many out-of-towners here in my experience. So let me tell you about this place. It’s hard to envision a place that is more perfectly indie, and more elegantly designed than Stay Golden. The photos below should give you a good taste of this place looks like, but I want to highlight the fact that, in addition to their downstairs seating area, there is an upstairs area as well, which comes with a pretty cool view. The walls encompassing this secondary seating only go up about as high a the table tops, giving patrons a view “behind the scenes.” Stay Golden doesn’t just sell coffee (and a great menu of food), but also roasts coffee beans. If you love coffee as much as me, a peak into the industrial space where coffee is brewed is pretty cool. And seems Nashville would agree, because they are already getting ready to open up a second location in Nashville’s branch of WeWork, which is located in East Nashville. Frothy Monkey started with one location in a neighborhood called 12 South, but has since expanded to include quiet a few other locations around Nashville. They are all a little different from one another, so I’m just going to focus on the original. When I have friends or family visiting from out of town and I’m trying to show Nashville off to them, the Frothy Monkey in 12 South is one of my go-to spots. It’s just a great atmosphere! It’s always bustling and buzzing with people and conversations. There’s an old story from forever ago that gets passed around about Taylor Swift and Jake Gyllenhaal going on dates here (lolz). And on top of all that, the coffee is great, and the food menu is even better! The only problem is that I’m not the only one who thinks that; good luck finding a seat! Fun fact: Fido isn’t just the first coffee shop I visited in Nashville, it was the first anything. Truth be told, Fido could probably have passed as a restaurant just as easily as a coffee shop, but to me it maintains a strong “café” vibe in spite of the mountains of food they have on their menu. It’s a big space, and it’s always packed with people, so be prepared to do some hunting to find a seat. 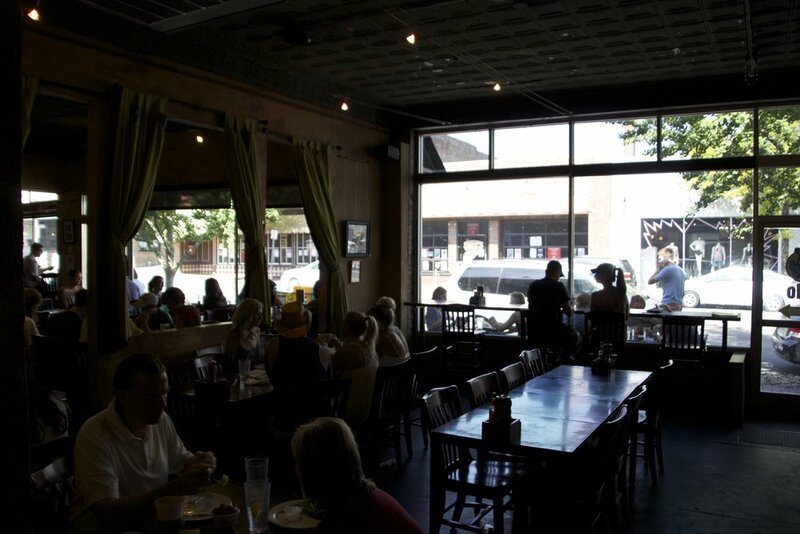 Fido is the centerpiece of a small area called Hillsboro Village just west of Vanderbilt. It’s a pretty happening stretch of town, packed with other cool shops, restaurants, and etc. Poking around and exploring here is a great way to kill some time. There’s lots to do, and Fido is an awesome place to hang out! HOWEVER (this is my big pet peeve), when things get busy, Fido has been known to turn their wifi off. Really Fido? Are you sure you don’t wanna turn the power off too? Anyways… I still like this place. Being such a defining landmark of Nashville’s coffee-scape, I’m kind of obligated to put Barista Parlor on this list. And I will be the first to admit that Barista Parlor is actually an awesome coffee shop. Their hand-brewed coffees are amazing, and they will take you on a round-the-world trip, from Colombia, to Indonesia, to Malawi, and beyond. They also sell delicious craft chocolates distributed by fair-trade organizations working all across the developing world. It’s really cool. The problem is that it’s a little too cool. It’s the kind of place that is so goddamn cool that it reminds you how miserably uncool you are the moment you walk in. Maybe that’s just my insecurities talking, but let’s be honest here—we’re all insecure. Feeling like you’re not cool enough to hang out at Barista Parlor is common sentiment in Nashville, and that’s saying something, because the level of coolness here is off the f**king charts! (It’s a city full of musicians, what do you expect?) The other problem with Barista Parlor is that it’s expensive. Like, $8.00-for-a-cup-of-coffee expensive. 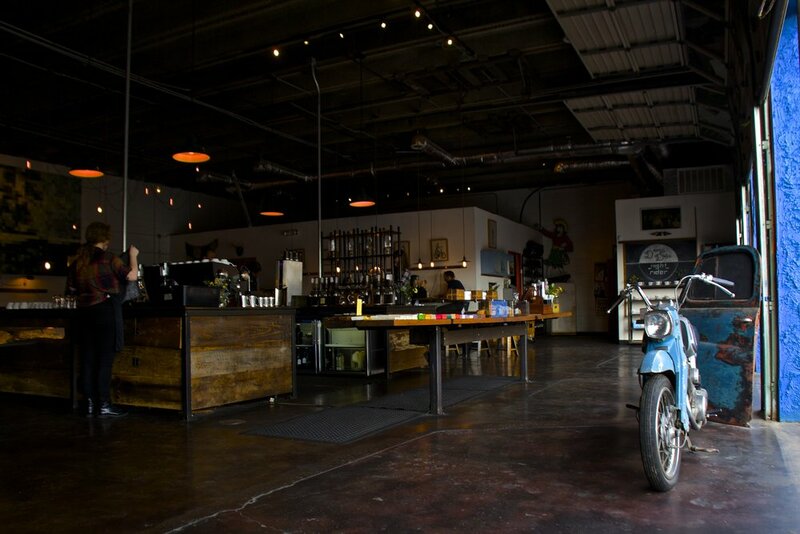 So if you’ve got cash to blow, and an Instagram persona to maintain, Barista Parlor will be perfect for you! If not, you’ve been warned. 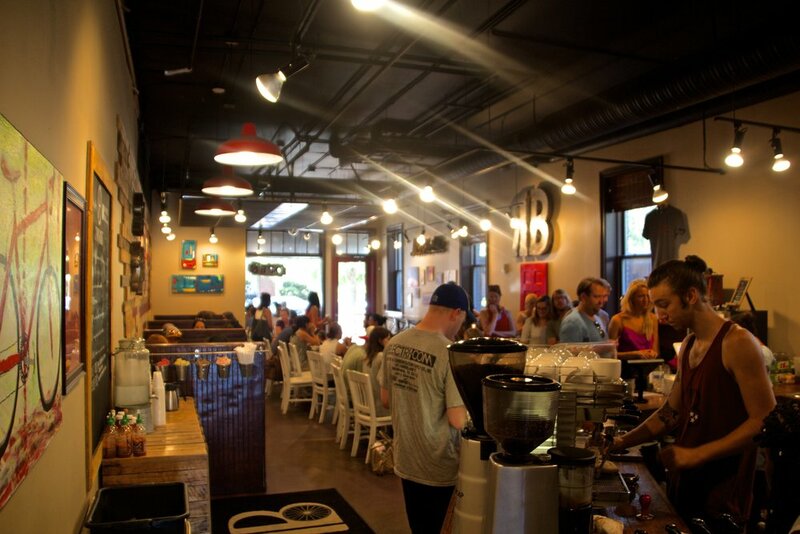 When it comes to Nashville, Bongo Java is the undisputed “classic”—the Grandaddy of the Nashvillian coffee scene. I think it actually might be the oldest coffee shop in Nashville! If it’s not, then it’s certainly the only one that has managed to stay relevant and cool in any way. Bongo Java opened it’s doors in 1993, which is pretty much the beginning of time for Nashville’s indie side. They do business out of a huge converted house in a strip of businesses and eateries just off of the Belmont Campus (that’s Nashville’s music school), and in the upper level of the building, a small comedy club operates. 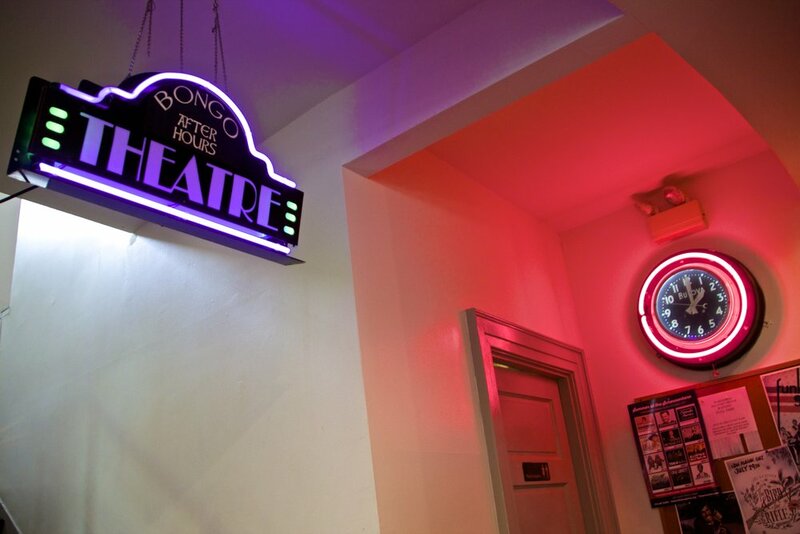 It’s called Bongo After-Hours Theater. Bongo Java is unique in that they are not only a coffee shop, but also a roaster in their own rite. 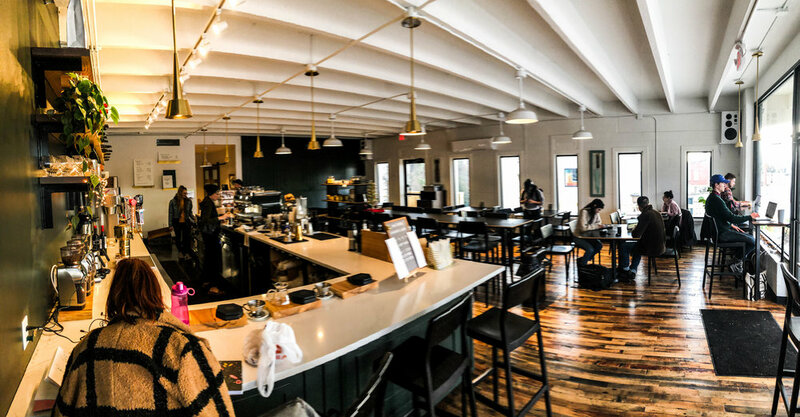 It is one of just a handful coffee roasters operating in Middle Tennessee, and one of the few coffee shops in Nashville that is its own supplier. In addition to their own brews, however, they also partner with small farmers around the world to put fair trade coffee products on shelves all around Nashville. The Great Nun-Bun Heist: One Christmas day, way back in the 90s, Bongo Java famously baked a random piece of bread that looked vaguely like a nun. They called it the "nun bun" and they put it on display behind glass in their shop. It sat there for years, and was a well-known local novelty in Nashville. But then, a few years ago, ON CHRISTMAS EVE NO LESS, the front door of Bongo Java was taken off its hinges in the middle of the night, and the nun bun was stolen. To this day, there is still a $5,000 reward for the return of the nun bun, no questions asked. "Bongo East" is Bongo Java’s location in East Nashville. Right in the 5 Points intersection, this place has a great piece of East Nashvillian real estate. Surrounding this coffee shop are bars, book stores, music shops, vintage clothing stores, art galleries, restaurants, and more. If you're not familiar with Nashville, this is an excellent area to take a walk and explore. Now, for most coffee shops that have more than one location, I took the liberty of consolidating them into a single entry on this list, but I’m making an exception here because Bongo East is pretty distinct from Bongo Java on the western side of Nashville, next to Belmont. The two operate almost completely independent of one another, and have completely different aesthetics. And to make the divide even more stark, Bongo East recently re-branded itself to include "Game Point." This change brought with it much later hours, as noted above, and an entirely new demographic. As the name suggested, Bongo East's alter-ego, Game Point, is a board game café with a treasure trove of board games ranging from Risk to Candyland, all of which are free to play. So the next time you're in the neighborhood, why not take a quick pit-stop to play Settlers of Catan? Revelator is going to be our 2nd and final entry from an area of Nashville called Hillsboro Village. Hillsboro Village is dense collection of shops, cafés, and restaurants just on the other side of Vanderbilt. It’s a congested little strip, but it makes for nice strolling, especially if you’re struggling to show your out-of-town friends how cool Nashville is. Revelator is at the end of this block, and it’s freaking cool. For all you interior design enthusiasts (if you’re out there somewhere), this place is a real gem. 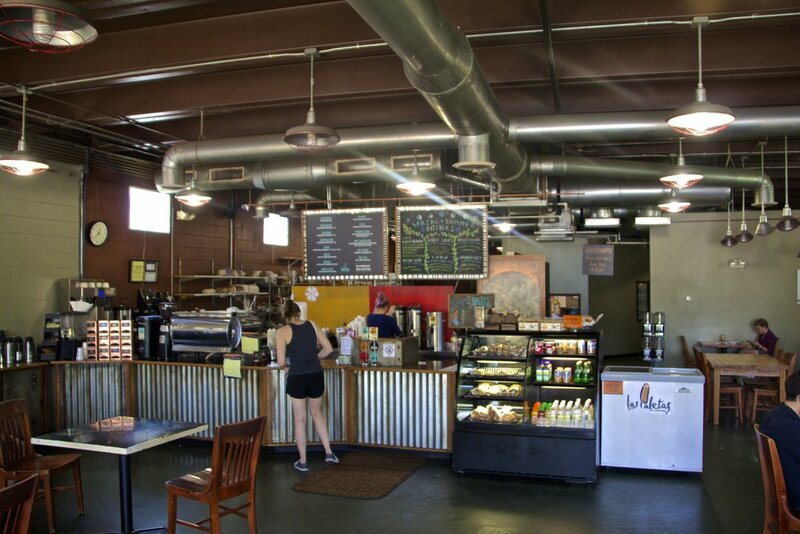 The whole café is has a strong indie, clean vibe, with lots of light colors, plants, and natural light. It’s got friendly staff, reliable wifi, and a great coffee menu. Oh, and they brew all their own coffee down in Alabama! The food menu is a bit lacking, but if you’re in Hillsboro Village you’ll have a million other food options at your fingertips, so it’s no big deal. Adjacent to much of Nashville’s academia (Vanderbilt + Belmont), Edgehill Café has been around for quite some time. Part of the up-and-coming Edgehill Village area, this place is a neighbor to some great restaurants and bars, as well as most of Nashville’s famous music row (if that matters to you). The point is, it’s a cool neighborhood! Edgehill Café itself is a pretty classy establishment. It’s a beautiful space with a simple, non-nonsense aesthetic to it that I (personally) really love. It feels very up-scale (in a good way), but it hasn’t always been that way. In the past it was a much more informal atmosphere, but they recently completed a pretty substantial remodeling project. The public seems to have mixed feelings about this, but I love its new look. The menu includes a lot of great lunch options, and some killer coffee. Put Edgehill Café on your list. In my restaurant guide to Nashville, I spent a lot of time talking about all the amazing food in Germantown. 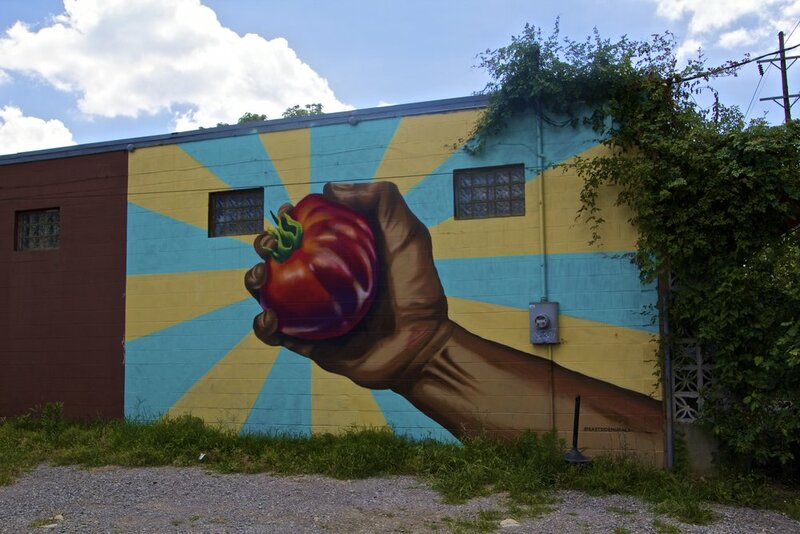 (Germantown is a historic, transitional neighborhood directly north of Nashville’s downtown.) But for all that amazing food, Germantown pretty much only has 2 coffee shops. Er, well, that’s not counting Barista Parlor’s new satellite location. Anyway, Steadfast is the first one we’re going to talk about. 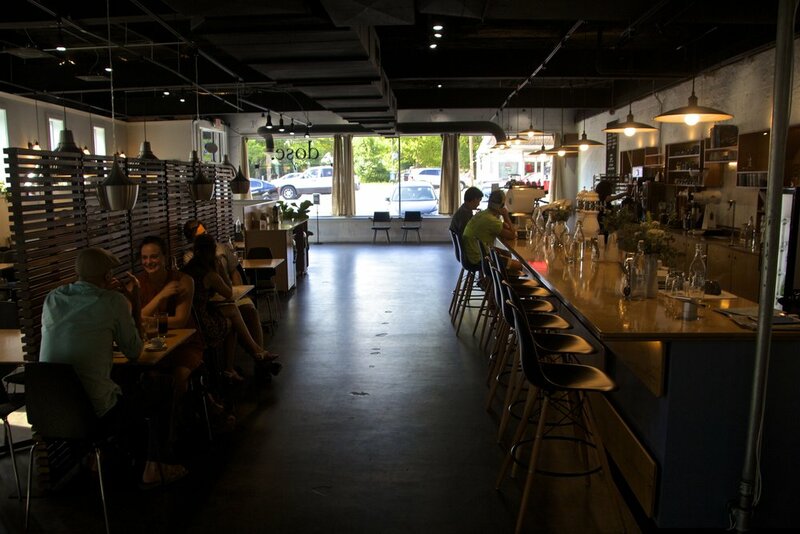 Steadfast Coffee’s slick, polished interior makes for a pleasant, productive atmosphere. There are always lots of interesting people meeting for a drinks or just doing some work on their shiny MacBooks. Nashville is actually subject to some pretty extreme seasonal variations, so the huge glass windows separating Steadfast from the outside world are great reminder of just how comfortable things are in there. It’s seriously cozy, and seriously cool, so give it a try! If you're going to own a business, it's important to understand your own value proposition, and the owners of Yeast Nashville would probably tell you that theirs is not coffee. Rather, Yeast Nashville's signature product is a quintessential Bohemian pastry called a kolache (pronounced "co-law-chee"). Kolaches are a lot like danishes. They are consist of sweet, yeast-based dough, and are typically served with with with a fruit, poppy seed, or cheese filling. These pastries come from an old Czech/Slovak tradition, but to ask the folks behind the counter where they come from, they're likely to mention Texas. Apparently, central Texas saw a wave of Czech immigrants during the mid 1800s, and as a result, these pastries became a staple of Texan breakfasts. So an official spokesperson for Yeast Nashville would probably spend most of their time talking about what have come to be known as "Tex-Czech" pastries. If you're interested, their website has a ton more information about this stuff as well. So that's the story of the Texan kolache. Yeast Nashville might be more of a bakery than a coffeeshop, but they also serve a mean cup of coffee, as well as Nitro Cold Brews (if you're into that kind of thing). Oh, and they also have seating and free wifi... so, I think it's safe to treat this place like a coffee shop. 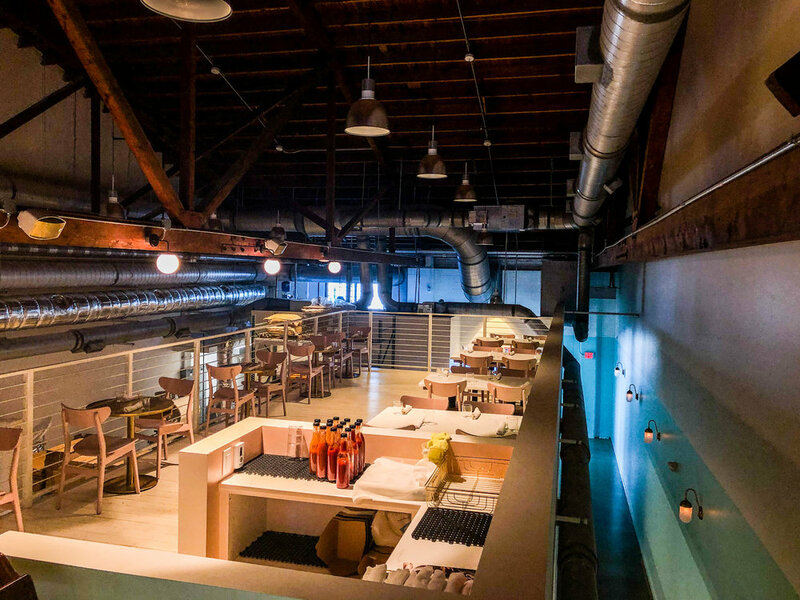 Yeast Nashville occupies a large space inside EastSide Station, which is a larger building full of other local businesses, and sits about as close to Downtown Nashville as one can without leaving East Nashville. It's a great place for an early morning coffee/pastry, so put it on your list! Red Bicycle is the 2nd coffee shop in Germantown, after Steadfast, and it’s quite different from its counterpart. 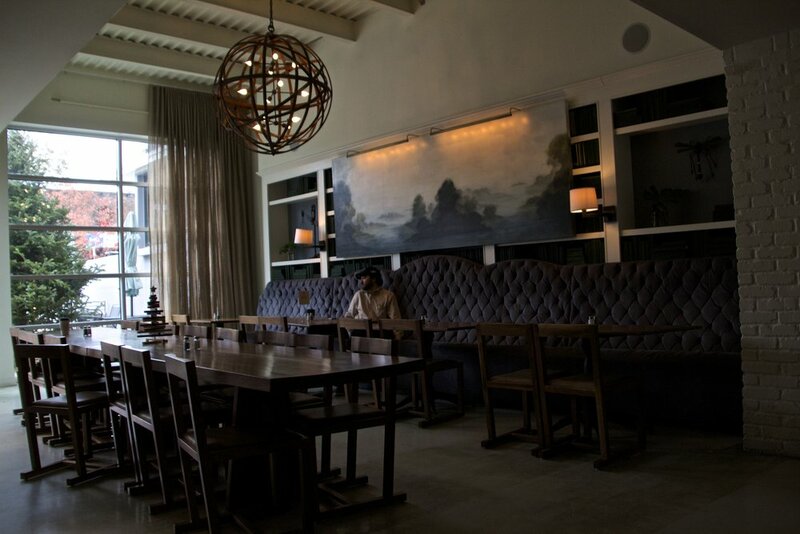 Instead of Steadfast’s slick, “hipster” vibe, Red Bicycle has a much more rustic, family-friendly demeanor. I’d say that the coffee is better at Steadfast, but Red Bicycle has a much better (and more extensive) food menu. This garners crowds of families and friends every weekend around brunch/lunch, so be prepared to fight crowds of people from 10am to 3pm on weekends. In this part of Germantown, the (free) parking situation can be grim so if you don’t want to spend the money on an Uber or a Lyft, be prepared to do some searching. I’d say that Red Bicycle is worth it though! 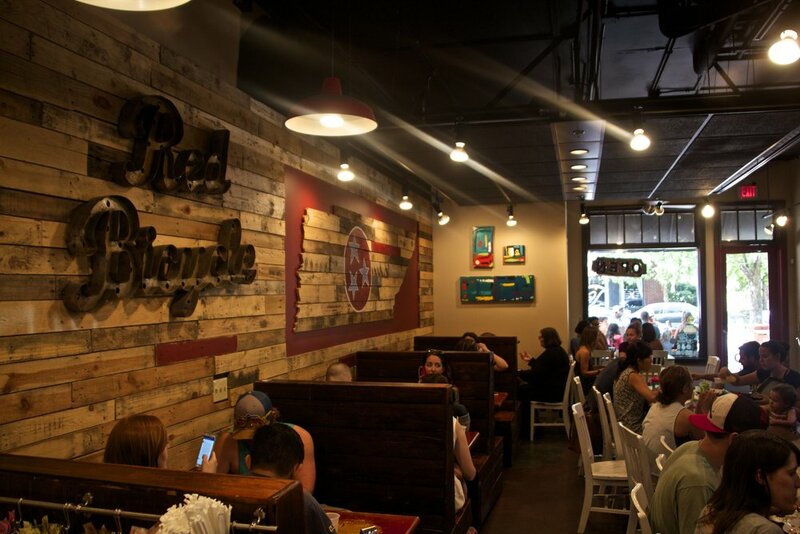 There’s plenty of seating, both indoors and outdoors, and the staff is very nice. They also serve some mean crepes. So check it out! The Post is a world unto itself. Walking through the doors, you’ll immediately become engrossed in the quirky jungle/tribal vibe that the Post has created. Though it might seem random at first, it actually fits pretty well with their clean-eating, vegan-friendly, gluten-free menu. 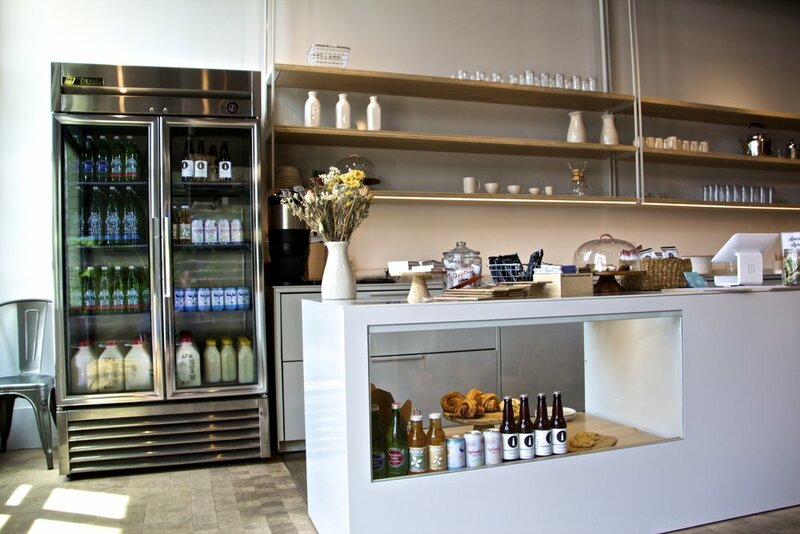 Personally, I just go for the coffee, but their fresh-pressed juice also gets rave reviews. So, all you health-nuts out there, this is for you! 8th & Roast is in kind of a random spot on the southern edge of Nashville. Coming to this corner of Nashville is convenient for very few people, but people swear by this place! Personally, I’m not a HUGE fan of it, mostly just because of its location, but I can certainly admit that it’s cool. And I can 100% understand why 8th & Roast has such a devoted customer base. I often hear 8th & Roast cited as people’s favorite coffee shop in Nashville. The most recent update with 8th & Roast is that they opened up a location in the Nashville airport. It definitely has elevated the coffee scene within the airport… but is it weird that I kind of think less of this place now? It’s still really good coffee, and if you’re in BNA you should definitely grab some… but things in airports always feel tacky and manufactured to me. 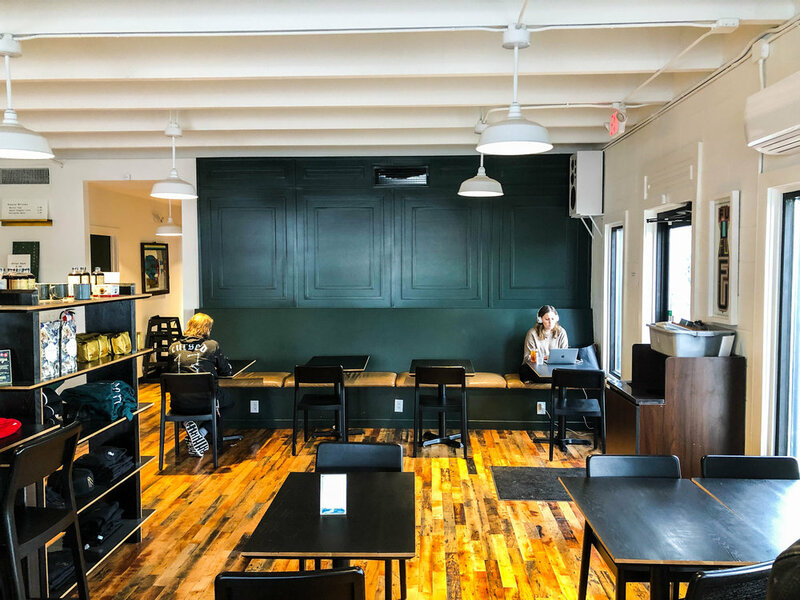 Having recently moved into an urban-ish space at the bottom of Main Street., East Park Donuts & Coffee is a new addition to this article, and to Nashville. If the name didn’t tip you off, East Park Donuts is located in East Nashville, where all the cool kids live. They serve a wide selection of brioche and cake donuts, which they make fresh every day. If you’re skeptical of that, there is a large glass window that looks straight in at their kitchen. Stop by any morning and you’ll see their team hard at work! 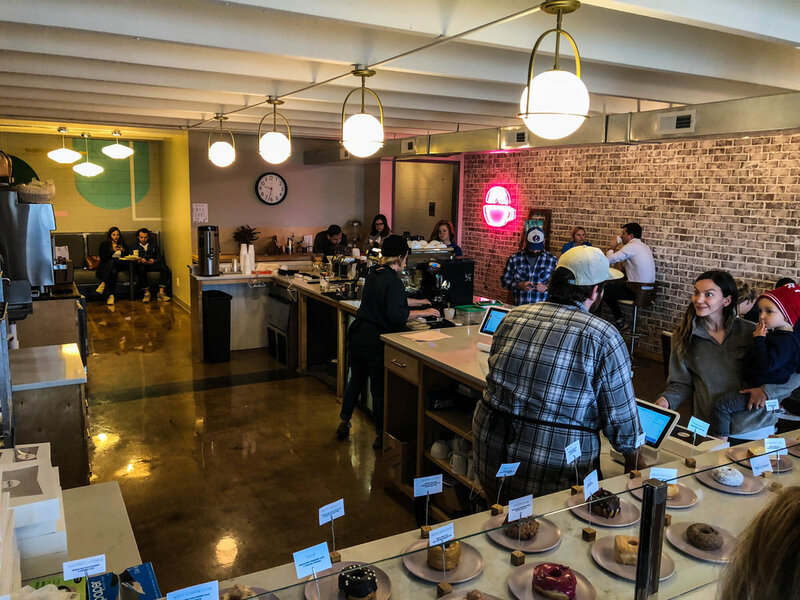 So clearly the donuts are the defining factor here, but they also serve more than enough coffee to justify putting them on Nashville’s “coffee” guide. And I’m not just talking about a few brews of black coffee that you can get with cream and/or sugar. They serve an actual menu of elaborate seasonal coffee drinks and coffee shop classics. In other words, these aren’t just a bunch of pastry chefs throwing in some coffee to sweeten the deal—there are actual baristas who work here. East Nashville has been quick to accept this place into its heart, as have I. It’s local, it’s delicious, it’s friendly, and it’s open every morning. What more can you ask for? People love to talk about gentrification in East Nashville. It’s definitely got large patches of suburbia that sit right next to large patches of ghetto, but living here, it’s insane how infrequently these two worlds overlap. For the most part, people from each respective bubble keep to themselves. It’s completely self-segregated, although I will admit that property values (among other things) pose a legitimate challenge to using the word “self” as a qualifier. Anyway, at the moment—and I would expect for the next 5-ish years at least—the frontier of gentrification in East Nashville is an area called Cleveland Park. It’s still ~90% “the hood”… but since it’s part of East Nashville, the odds of it remaining unchanged are virtually zero. Already, we are starting to see store fronts for bail bonds and used cars replaced with coffee shops and artisanal furniture. Likewise, vacant lots and dilapidated homes are replaced with construction crews building shiny new houses. And the people moving into these shiny new house need their coffee. Enter Retrograde. The main artery of the rest of East Nashville is Gallatin Pike. The secondary (and seldom thought of) artery is Dickerson Pike, and this is where you will find Retrograde Coffee. Branded with black, white, and natural wood, Retrograde is about as hip as it gets. They serve a great cup of craft coffee, along with a great menu of breakfast / lunch food, and they have solid WiFi with plenty of outlets. I will come here to do work often, and I always enjoy myself. I’m looking forward to seeing the evolution of Dickerson Pike, but even now, pre-gentrification, I have zero hesitation in coming over here. Put Retrograde on your list. CREMA is the brain child of a couple of Nashville transplants named Rachel and Ben who spent upwards of 2 years burning the midnight oil to get this coffee shop off the ground in 2007. Since then, CREMA has made a big name for itself in the coffee and culinary worlds of Nashville, having received a number of accolades from the Specialty Coffee Association of America (SCAA). But their celebrated roasting methodology is not a state secret. You can get a peak into one of their roasting rooms right there in their shop during business hours, and they are always running coffee classes for budding enthusiasts all across Nashville. So that’s all well and good, but if you ask me, the coolest thing about CREMA is the international network of farmers from whom they source their coffee beans, which extends across Latin America. CREMA’s management travels to visit their suppliers relatively regularly to places such as Costa Rica, Colombia, El Salvador, and more. Sounds like a dream job to me! Inside, Dose. is spacious, and symmetrical. These two traits do wonders to sooth my claustrophobic, OCD brain. It’s a very cool place, and the staff is about as friendly and helpful as it gets. The last time I was in here, I ordered a drip coffee. They had apparently run out of this, but when the barista saw my look of slight disappointment, she gave me another, more expensive drink, for the price of the drip coffee I had originally requested. This was completely unnecessary, but the nicest thing ever, and a testament to what Dose. is all about. I really appreciate places that foster this kind of atmosphere, so I’m glad that I have this chance to gush about Dose. There is nowhere on earth that smells better than Sip Café. Nowhere. Why? Because Sip Café doubles as an Ice Cream shop! This ice cream shop doesn’t have the same hours of operation as the coffee shop does, but the sweet aromas of their various flavors stay in the air ’round the clock, mixing with the glorious scent of coffee to create a spa for your nose. Sip Café has a classic, 1960s feel to it. Outside there is a giant coffee mug which moves in a slow constant spin at all hours of the day. Inside, Sip feels like a malt shop. This place is also equipped with a drive through, which makes it the most convenient place on this list. The location, however, is a bit less convenient for the average consumer. Sip Café occupies a transitional corner of Gallatin Pike in the far reaches of Inglewood (a large extension of East Nashville), which is a part of town that nobody would ever come to by accident. However, if you ever find yourself in the neighborhood, be sure to pay a visit to Sip Café. Sweet Sixteen is the kind of neighborhood fixture everybody wishes they had near them. When you come into this place, you’ll find cops in line behind firefighters in line behind a parent with their 2 kids, in line behind a hipster with a “Bernie” pin on their backpack… there’s something here for everybody! It’s owned by Ellen & Dan, who are just about the nicest people you could ever hope to meet. They are the sort of shop owners that remember everybody’s names! The fact that they are able to maintain actual relationships with so many individual members of their customer base and their local community is really special. I’ve never had an interaction here that was anything short of uplifting, so if you’re in East Nashville, I would highly recommend that you swing through for a treat or a breakfast sandwich. Be careful to check the hours first though, because they close early. A few more resources before you go. Here's everything that we just discussed on the map. New coffee shops are always popping up, as as we move forward, I'll be keeping this guide updated. Have I missed your favorite Nashvillian coffee shop? If so, then get in touch and let me know! And now, let’s finish things off with one of Nashville’s best young bands, Birdtalker. They finally released their debut EP, which has completely validated my love for them, and it's been blowing up ever since. Check it out!